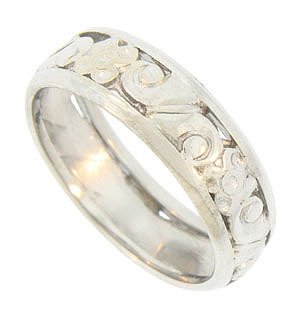 Large curling leaves and full figured blooms dance across the face of this 14K white gold Edwardian wedding band. The edges of the ring are softly curved. 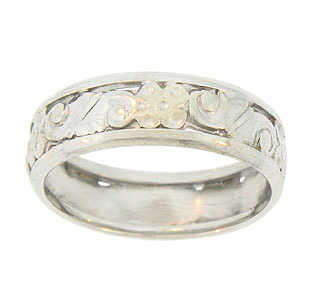 The antique wedding ring measures 6.12 mm in width. Circa: 1910. Size 7 1/4. We cannot re-size.